Do you want to buy US Basic Clothing online in South Africa? Brand Innovation is a premier supplier of this fantastic corporate clothing brand in South Africa. We have a lot of stock of the Cardinal, and it looks stunning with your branding embroidered on it. Contact us at Brand innovation today to get your gorgeous corporate uniform. US Basic Clothing Online – If you’re looking for amazing corporate clothing that is colourful and cost effective, then the US Basic Cardinal is a winner. This pure cotton golf shirt comes in seven beautiful jewel tones to make your branding stand out. We at Brand Innovation can put your brand on these awesome shirts, making your company the belle of the office ball. 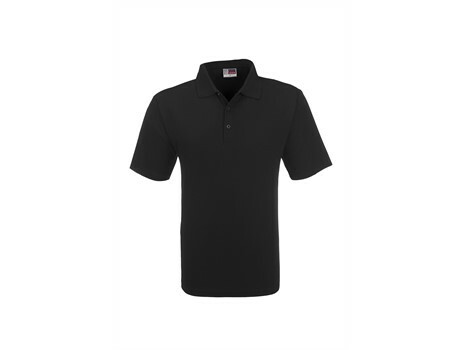 Cotton Golf Shirts are great for corporate uniforms. It’s a natural fibre that is light, breathable, and takes really well to dye. US Basic is one of the Best Golf Shirt Brands for a company to choose. The Cardinal gives you bright colours, and a light, breathable fit. Corporate clothing can really help you to work. When you feel comfortable and smart, then it is easier for your mind to get into the zone. Not all heroes wear capes, some of them wear golf shirts. And when the shirt is on, it’s time to go. A corporate uniform can help to foster a sense of team spirit. When a sports team wears their uniform, they know who to pass to, and who they can count on. Because everyone on the team is working towards the same goal. It’s exactly the same in the office. Wearing the same uniform reinforces the idea that we are all on the same team with the same purpose. Branded Golf shirts go one step further towards uniting your team. This way you can have everyone representing your brand! And it makes your uniform look that much more high end. Why not choose to have your brand embroidered on your golf shirts? Embroidery looks beautiful and is an amazing, permanent brand. It also looks very classy. A stunning embroidered logo on your plain coloured Cardinal golf shirt is really going to steal the show and have your company on top. But why stop at one? If you have a sponsor, why not give them a place on your golf shirts? Our golf shirts have generous branding areas for you to put your slogans, logos and sponsors. The colour options and branding areas that we have on offer means that you can customise your golf shirts! Any way you want them, that’s how we’ve got them for you. US Basic is a great brand if you want quality, affordable golf shirts. Being able to Buy Golf Shirts Wholesale is a really great way to get the best price for your shirts and keep your company costs down. And wouldn’t you know it? Brand Innovation is a premier supplier of bulk golf shirts all across South Africa. We supply from Cape Town to Johannesburg and beyond. Our minimum order quantity for these branded golf shirts is 25 units, and our friendly Account Executives are ready to assist with your bulk order. Why delay? You can send us an enquiry today and get your order underway with our selection of US Basic Clothing Online.